After two weeks of traveling around the great state of Texas, the Tako family has finally returned home. Landing in Seattle, we actually came back to snow! I think Mrs. Tako actually wanted to turn around and get back on that plane after seeing our typical cold-wet Pacific Northwest weather! We got spoiled by all the Texas blue skies and perfect 77F degree days! This was our first visit to the state, and overall we had a really good time … so much so that I wonder why we’ve never vacationed there in the past! We visited multiple state parks, beaches, walked through caves, museums, and made a trip to Johnson Space Center (aka NASA). There was plenty of driving around the countryside too. Thankfully, sunshine and good food were in plentiful supply! The beautiful Texas spring weather was a welcome break from the cold and wet of the Pacific Northwest. In summary: Good food. Good weather. Friendly people. Lots to see and do outdoors…. But, was it affordable or a frugal vacation destination? Yep, I think it qualifies! In total, the Tako family spent $2,248.79 on our trip to Texas. That’s an average daily cost of $56 per person. This was supposed to be a very affordable vacation for our family, and at first I found myself trying to optimize every financial transaction. Eventually I realized how pointless this was, and resolved to just let myself spend a little. My estimated cost of $2000 for the trip ended-up being a little low. We blew past that original estimate, but not by an unreasonable amount. The largest single expense for most vacations is airfare — and our vacation to Texas was no exception. The total cost for our plane tickets was $903.24. This works out to be $226 per person. This is not an especially cheap airfare price, and it’s very possible to find even cheaper tickets to Texas from the Pacific Northwest. Just search around using Google Flights, and you can find sub-$100 flights! Texas is a big state and public transportation is not great, so a rental car is pretty much required if you are a tourist. Our mid-sized rental car cost $223 for the duration of the trip. This seemed like a pretty decent deal. 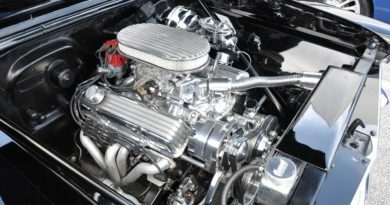 Usually I rent cars from Costco Travel due to the low prices, but for this trip we found a cheaper car through Hotwire. It pays to shop around! In total we drove over 1,000 miles on this trip and spent $66.50 on fuel. We averaged roughly 33 miles per gallon in our rental car. 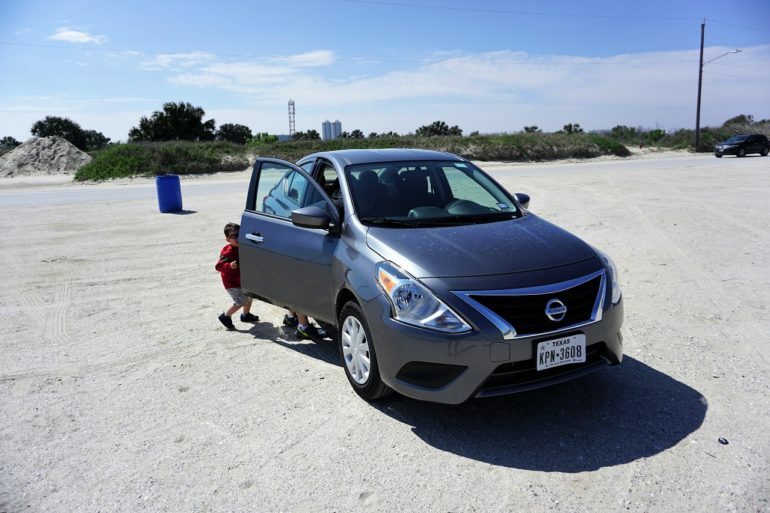 Our spiffy Nissan rental car on the beach in Galveston. That’s Tako Jr. #2 peeking-out from behind the car door. With its close proximity to many big oil refineries and low state gas taxes, fuel costs in Texas were absurdly low. The lowest price we paid for gas was $2.09 per gallon, and the most expensive was $2.19 per gallon. That’s cheap! I had sticker-shock after returning home, realizing just how much more we pay for gasoline in the Pacific Northwest (nearly $1 per gallon more). Our biggest parking expense was actually at the Seattle airport, a cost of $106.26. Other options, like taking a shuttle or a cab to the airport would have been more expensive. 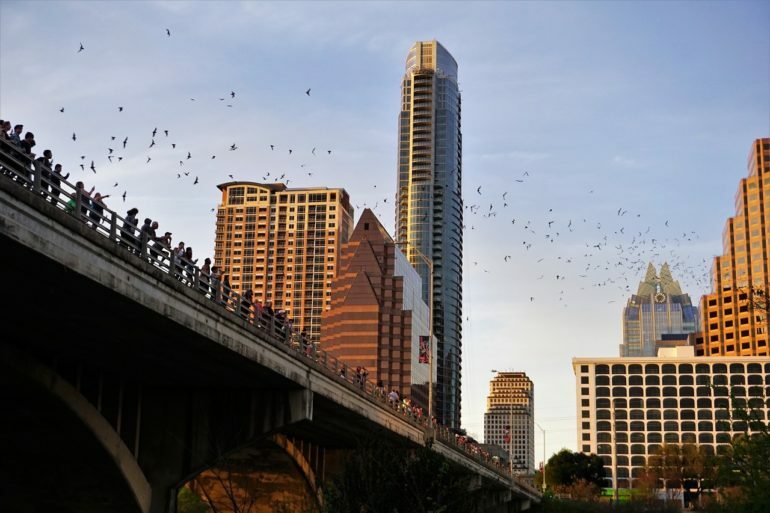 There were also additional parking costs throughout the trip — such as parking to see the Austin bats emerge from Congress Avenue bridge at sunset. For $6 we got easy parking access to the bat viewing area just to the east of Congress Avenue bridge. I suppose I could have driven around for half an hour trying to find cheaper parking in downtown Austin, but $6 wasn’t going to break the bank (and we didn’t want to miss the bat emergence). 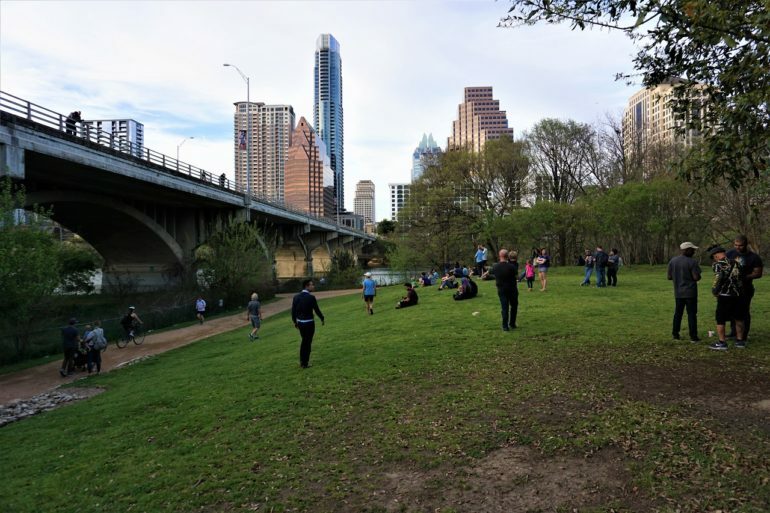 It’s not the “high season” for the Mexican freetail bats that live in Austin, but there were still plenty to see. 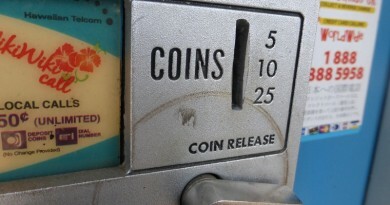 Parking costs also included $8 in downtown Galveston, and parking in Houston when visiting the Museum of Natural Science and Hermann Park ($20, the cost was included in the museum tickets). Tolls are also another reality of visiting Texas — Many of the larger cities in Texas utilize toll roads and toll lanes. Prices and distances tend to vary, but were typically $1.25 to $1.75 per toll segment. We ended-up spending $10.75 in tolls, mainly in Houston. If you’re wondering — yes, it is possible to entirely avoid paying road tolls in Texas, but travel will be much slower. One of the biggest ways we save money while traveling is by keeping our lodging costs low. For much of this trip we stayed with friends that live in Houston. This helped to keep costs down. Camping at a friends house is great when you can get it, but we did need to stay a couple nights in a hotel (while in Austin). Total lodging cost was $239, and this included a great breakfast for the family. We try to avoid hotels whenever possible. 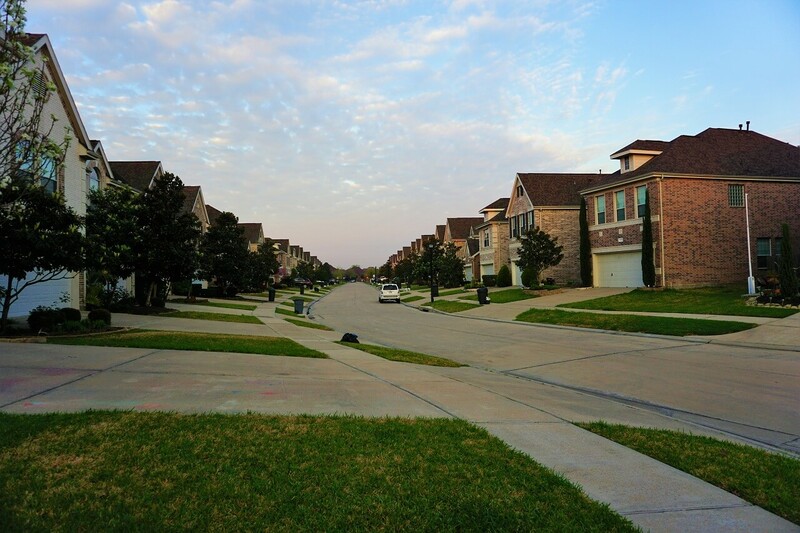 For much of the trip we stayed with friends in this nice Houston neighborhood. Why no Airbnb? Believe it or not, staying at a Hyatt Place in Austin ended-up being cheaper than all the available Airbnb’s (after taxes and fees). Plus we got a very nice breakfast included. Go figure! Airbnb isn’t always the cheapest option. Again, it pays to shop around! Yep, the Tako family loves to eat. We spent $461 on food while traveling around Texas. This amount includes shopping at grocery stores as well as meals at restaurants. Normally we cook most of our food at home, but this was hard to do when traveling. Inevitably, we spent more than usual on food because we were eating-out at restaurants. We took our friends out for a delicious sushi dinner in Houston. $160 for 8 people. The sushi was great too! It wasn’t all expensive sushi dinners of course, there was plenty of cheap eats to go around! 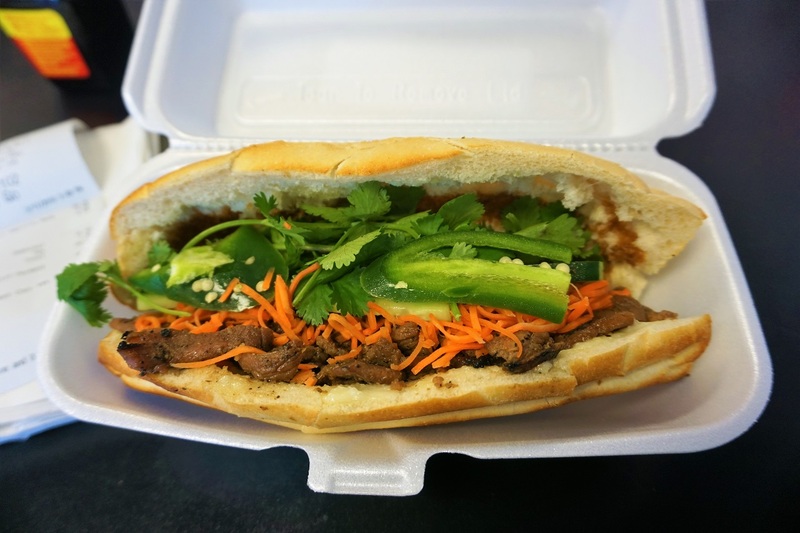 We devoured bahn-mi sandwiches from Roostar Vietnamese Grill in Houston. They were incredible! We also had to try some of the local ‘Texian’ fare… bbq of course! We ate bbq at the world famous Salt Lick in Driftwood, TX. It was fantastic! Oh, and I can’t forget a mandatory taco picture either! Austin is famous for food trucks, and the taco trucks were everywhere! 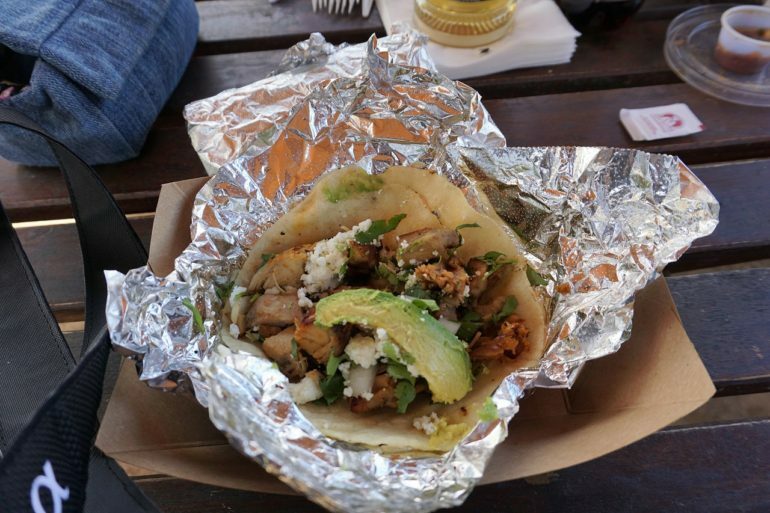 We munched on tacos from Veracruz All-Natural food truck in Austin. It was a good taco and gets Mr. Tako’s seal of approval. Travel is more than just eating of course…. we had to burn all those calories somehow! Besides visiting with friends, we touristed around the cities of Galveston, Houston, and Austin. 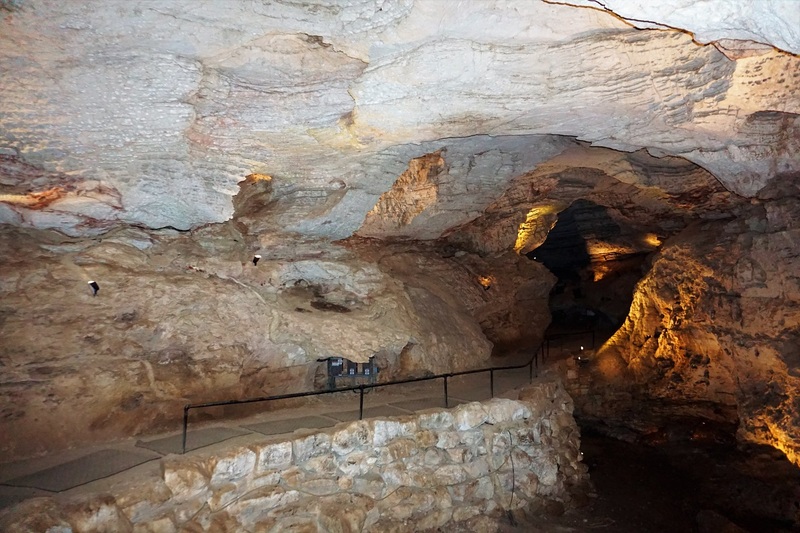 Originally we had planned a full day in San Antonio, but based upon the recommendation of others we decided to spend that day at Longhorn Cavern state park instead. Longhorn Cavern State Park. A very pretty cave. 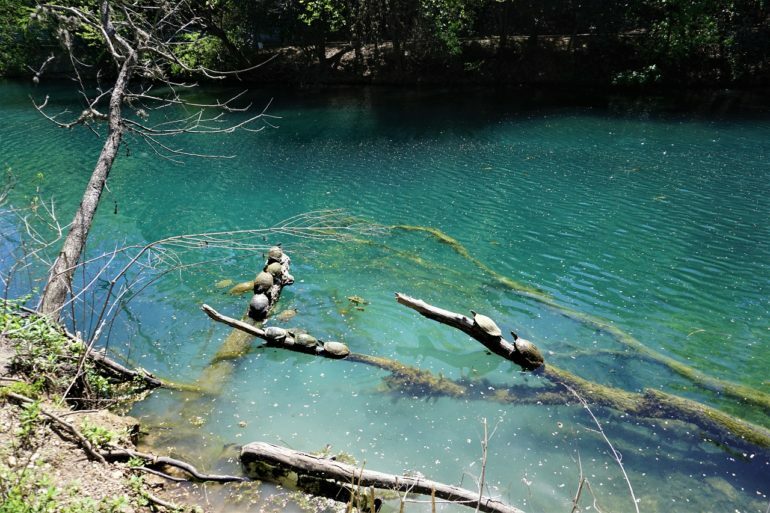 Activities on this trip also included a trip to the beach in Galveston Texas ($0), a day trip to Johnson Space Center ($90), Brazos Bend State Park ($14), a visit to the Houston Museum of Natural Science ($85), and Barton Springs/Zilker Park ($0). 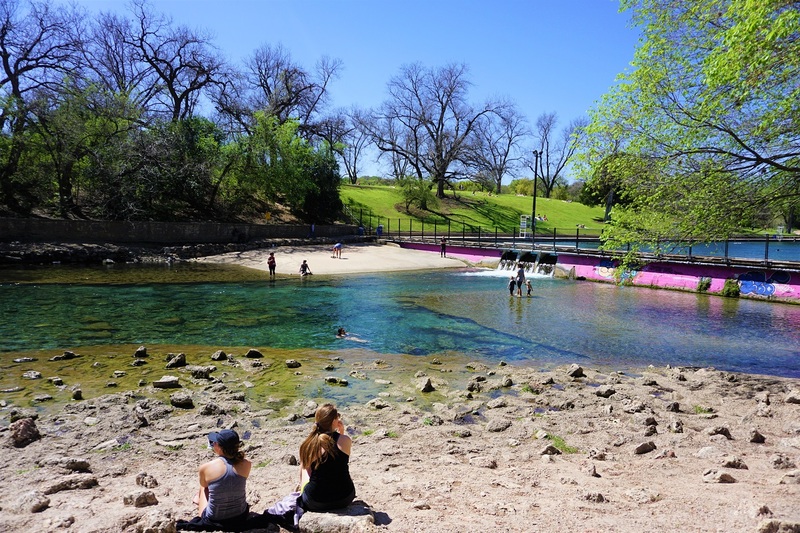 Barton Springs and Zilker Park made for a great family outing. The kids were really excited about all the turtles. There was also plenty of walking around to see and enjoy the local culture. This activity is entirely free! Austin in particular was a funky/weird city. We fit right in. We did our best to keep Austin weird! Some vacation destinations are great for only one visit… but a few places in the world are worth going back to multiple times. Texas was like that for our family. We only scratched the surface of what Texas has to offer on this trip! It’s such a BIG state that there’s no possible way we could see and do everything in just 10 days. There will be plenty more to see, eat, and explore in Texas. I have a feeling we’ll be visiting again soon! 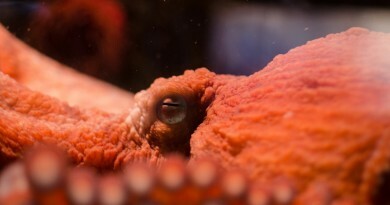 Looks like a wonderful vacation Mr Tako! I was wondering how the lodging cost was so low, maybe you camped or slept in the rental car haha staying with friends is always a good idea. Did the kiddos love the Dr Who box at Salt Lick? Their brisket is phenomenal! Oh yeah, I noticed the police box and wondered what that was all about. There were a couple police cars parked in front of it, so I told the kids there were policemen inside. Ah, yes, my husband hates for paying for parking too, but we loosen up while on vacation to have a better experience. 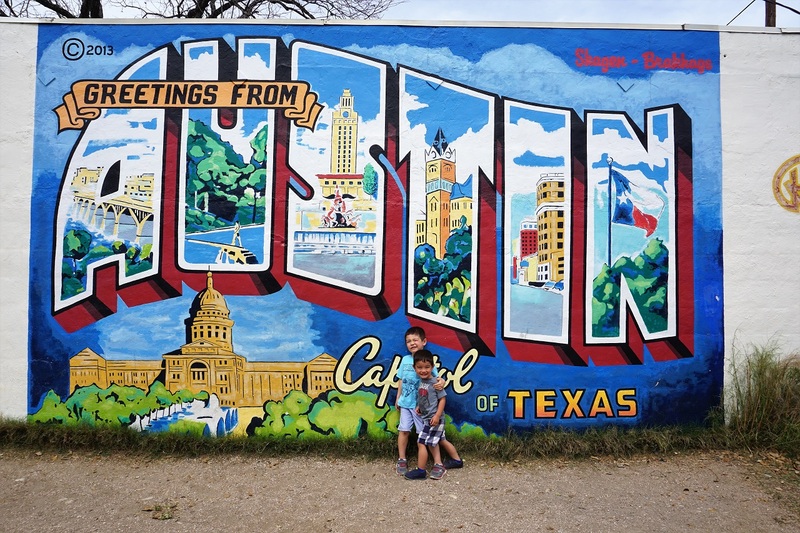 Your trip looks so fun, and the food looks delicious–we proposed a spring break trip to Texas to my brother’s family, but he didn’t think there would be much to do there with the kids. I’m going to show him this article! 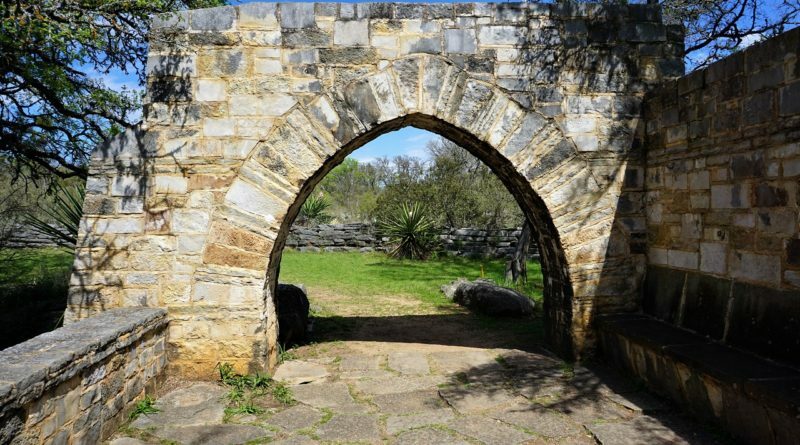 There’s a TON of stuff to do in Texas for kids. Lots of parks — theme parks, state parks, water parks, etc. WAY cheaper than Orlando too! I knew I was going to be end up hungry when I clicked on this post. Texas BBQ is second to none. Glad you had a great trip. Thanks for sharing with us! Sweet trip, nice pics. Gas is indeed cheap in Texas, but that only makes sense. They’re not gonna over-tax an industry that keeps ’em going. And yes, AirBnB isn’t always the best. For me though, when I’m on one of my mountain climbing trips with my buddies, we prefer having a house with a full kitchen etc from AirBnB or Vrbo. Even though we might pay a tad more for it per night than a hotel, it gives us the advantage of buying groceries and cooking for ourselves which saves us tons of money over restaurants. So I think it usually saves us money. Plus a house gives us more room to store our gear and hang out after a hard day of climbing. If we’re staying in a hotel, I always like to stay at one of those suite or extended stay hotels. They’re usually cheap and have a kitchen in the room. Ooh fun! Austin’s on our list too (with a motto like “keep Austin weird” how could it not be?). Glad you guys had fun! The food looks great–especially the Texas BBQ. Yum! You’re going to love Austin. The place has a total foodie culture. Food trucks everywhere. Plenty of Asian cuisine, Texas BBQ to die for… and great weather. The funky culture made the whole town feel very “comfortable” and unpretentious. I think you’re gonna love it. 🙂 We certainly did. Glad you enjoyed Texas and visited our home city, Austin. In fact that is our condo building (the tall one) in your picture behind the bats! Hi Mrs. Smelling Freedom! The kids loved the bat … swarm? We took them to Longhorn State Cavern and they got to see some bats up-close and personal before the big show in Austin. Oh my that sounds like an AWESOME trip! Mr. FAF and I literally talked about traveling to Raleigh NC for the Independence weekend in July. We’ve also been talking about moving to Austin and want to spend one week exploring the city. Summer is gonna be hot, but it’s so exciting to have all those fun activities. It was a *awesome* trip!! Thoroughly enjoyed our stay in Texas. Summers are incredibly hot in Austin, but at least they don’t have as much humidity as Houston. Looks like a great trip. Haven’t been to a Texas yet. I agree with letting go of the budget a little bit. There is definitely a dark side to optimization. It was a really great family trip for us. Everyone had a good time. Please keep the fabulous recipes coming! I’m glad you enjoyed your trip to TX! You hit a lot of great spots on your vacation. We will never tire of all the things to do here in the great state of TX and welcome all visitors and a lot never leave. Relatively inexpensive cost of living and houston is a hub for industry and jobs. You picked an excellent time of year to visit weather wise in spring, but summers are brutal. 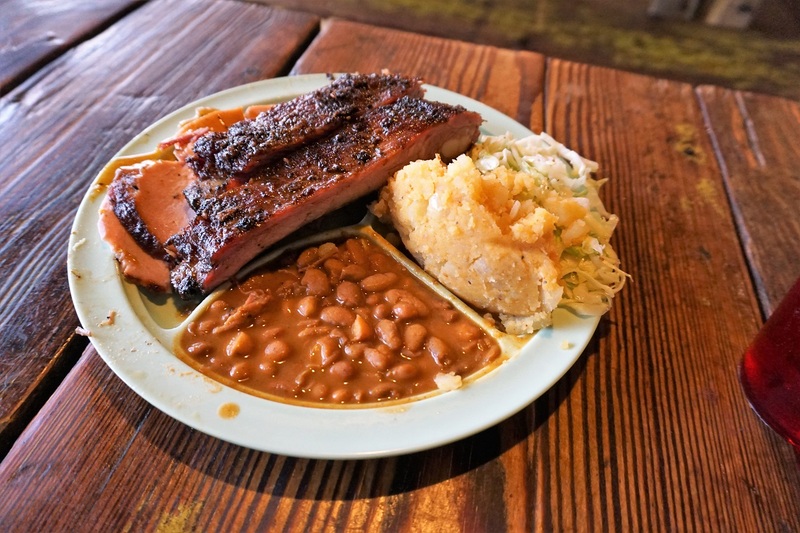 salt lick is great for the BBQ and atmosphere. you can literally eat your way through BBQ town by town lol, Snows in Lexington and franklin BBQ in Austin are some other options on your next trip to TX. Would be happy to give some additional recommendations for sites and towns to visit for your next trip if you are interested. Glad you enjoyed the trip. Definitely the best time of the year to visit it will be way to hot to visit in a month. Some of the pictures made me miss the place, but overall we prefer the pacific north west. Both places have their merits. Mrs. Tako likes hot weather, so she really enjoyed herself on this trip. We had snow, rain, hail and sunshine in Seattle all in one day yesterday!! God’s drunk man. I also a little surprised by the airfare. It wasn’t awful, but I’m surprised you guys didn’t wait for better fares. Was it a time sensitive trip? You certainly picked a great time to go. Spring in the South is the best time of year!! Yeah, we were a little time constrained by our friends. It’s a reality of life — not everyone is financially independent. I’m a Texan and had I known you were coming I’d have recommended other cities. Austin, Yes! Galveston, I guess but the beaches are dirty. Houston? Yuck! (And that’s being nice). I would have recommended San Antonio and Fort Worth. Oh well, you mentioned you’ll be returning. I’ll give you eight or nine destinations better than Houston. Awesome. Send me your suggestions via email or the contact form. I’d love to get the inside scoop! Glad you enjoyed yourself and got to see the bats. There are people who pay big bucks to sit outside at nearby restaurants and dine while watching them. Bad idea. They go to the bathroom the first thing after waking up too. I totally have FOMO of that Texas BBQ. We went to great bbq place in Dallas during FinCon last year and my mouth was watering just looking at your photos. Looks like you had a great time! I recently had an encounter with some bats while in Honduras. Unfortunately they preferred to come into our house and hang out in our rooms until we’d turn on the lights. Then they’d fly as fast as they could down the hallways and out the doors like a bat out of… guess I understand where the saying comes from now. Hopefully none of the ones you saw followed you home! None that I’ve seen! We have a few bats here in the PNW, but they’re quite rare (and probably still hibernating). I never seen so many bats, neither did I know that there were so many in Austin. Congratulations on keeping the vacations on a nice budget! Planning a trip to Texas in the next tear or two! Hoping do do a long road trip but our route isn’t finalised yet. Great (financial) recap of the holiday! Seems like you guys had a blast on a budget. I’m impressed! 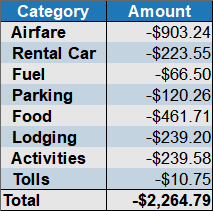 As promised, I’ll make a similar cost summary of our 9 week road trip. Albeit you can already have a looksy at RootofGood, he did a pretty cost efficient European road trip last year too. You are raising the bar here buddy! Great pictures. Welcome back to the wet and cold PNW. It’s going to be better this weekend so hold on a few more days. I’m ready for nicer weather too. The food looks great. Last time we visited, there were way too many chain restaurants. I’m sure it’s better now. It’s a lot easier to find obscure places now too with Yelp and other apps. We pretty much ignore chain restaurants these days (unless it’s a local chain). 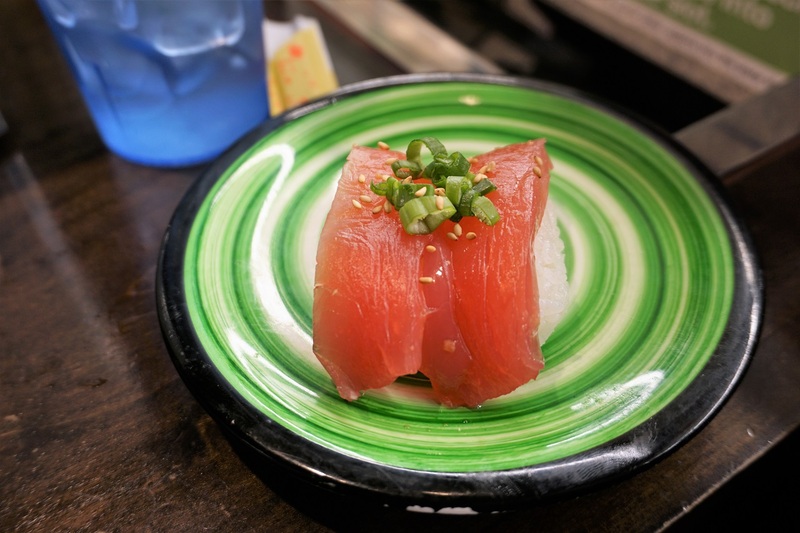 Small local restaurants that make great food are what we’re interested in. They might cost a few dollars more, but better food is worth it! Glad you enjoyed your visit to Texas. Having lived in both Seattle and Houston, I think I’d choose Seattle over Texas (disregarding job, income, etc.). Texas is a good place to live comfortably and get ahead financially with its medium to low cost of living and lots of jobs that tend to pay better than other areas. However, the bland scenery and lack of things to do (for me) really wore on me. While the gloomy and short Seattle winter days can take it’s toll as well, I think I prefer that in exchange for scenery (mountains, water, greenery), feeling of fresh air and close proximity to activities I enjoy. I found your blog through the food post on MMM and saw your delicious salad recipe. Where did you get the sushi dinner? Sounds like a good find 🙂 Clearly dinner time here. Random note for in case you visit Houston again – the libraries usually have coupons and tour guides just inside the doors. I think the airport may, too. With 4 people, it’s nice saving $5pp on admission fees. I assume other large cities have the same set up for museums.